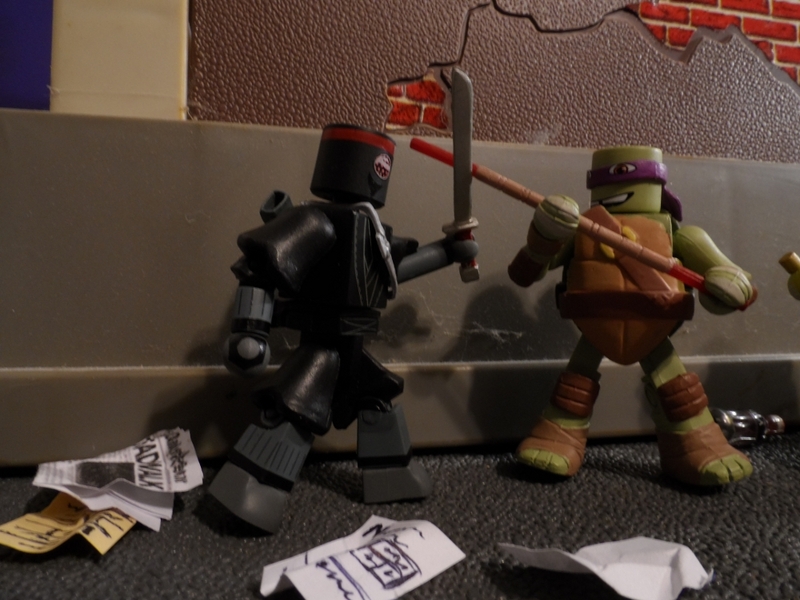 Teenage Mutant Ninja Turtles have been riding high for a few years now since the Nickelodeon cartoon came out, now they’re getting the Minimate treatment! 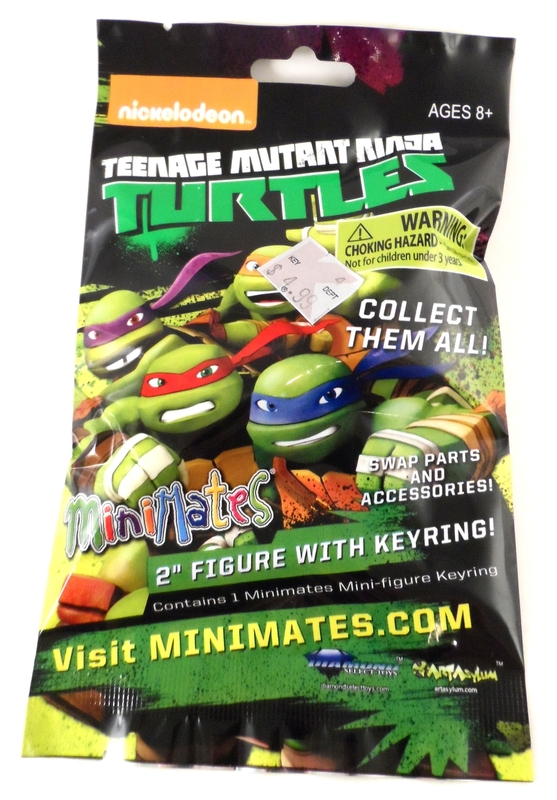 In a first for Diamond Select Toys, the TMNT Minimates are blind bagged instead of the usual blister cards or window boxes Minimates have been packaged in for years now. First thing you may notice is that this bag has a K-Mart price sticker on it! Yes, these are currently at K-Mart stores. 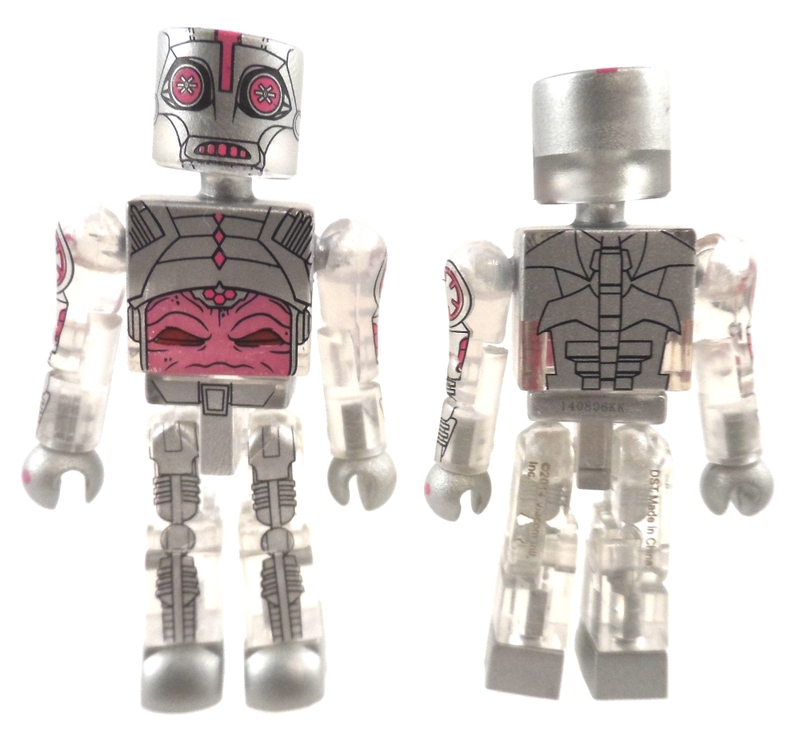 This is also one of the reasons they are blind bagged, this condition allowed DST to get Minimates based on a very popular toyline into a larger market than it normally would have. 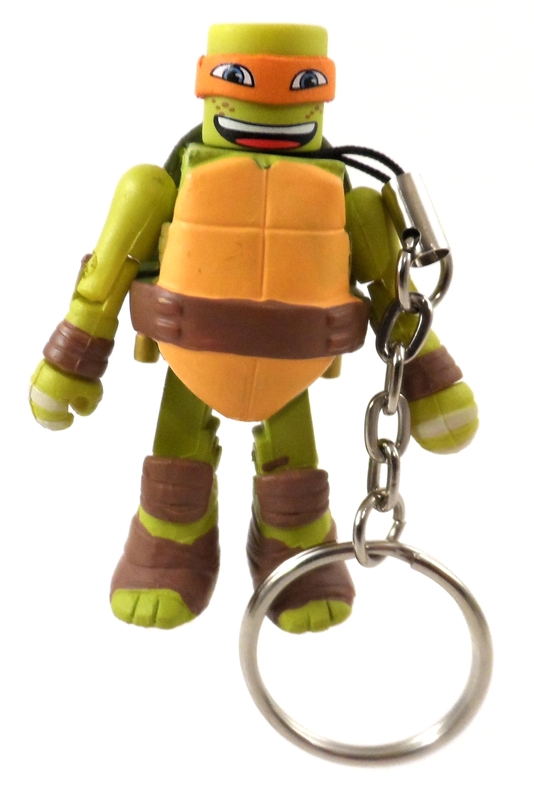 you’ll also notice that it says 2″ Figure with Keyring. This is just another addition to entice stores to carry Minimates. All the figures are pre-assembled in the bags so you’re not trying to find a particular loose piece to ID the figure. The four Turtles are the largest figures in the line so they’re easy to tell apart from Shredder and his goons. However, to tell them apart from each other, you have to feel for the weapon sheaths. 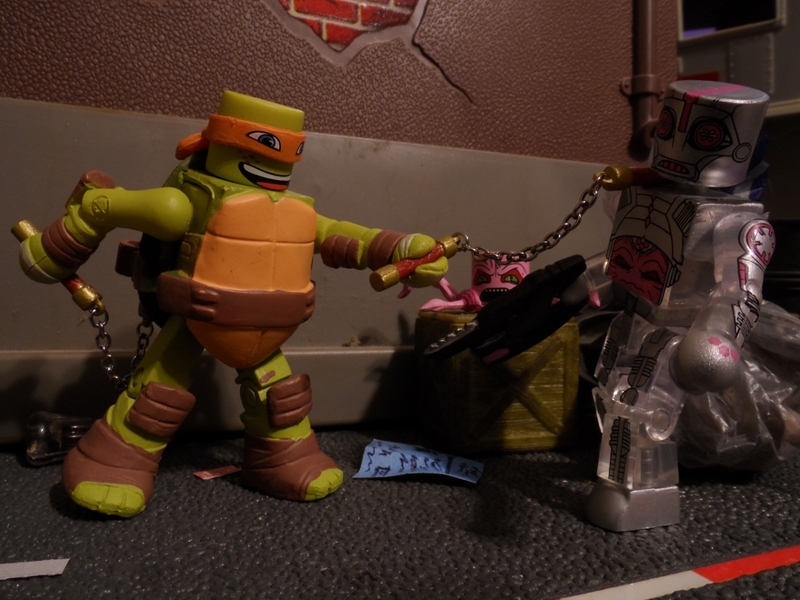 Kraang is the only normal Minimate with no additional parts on the body so he’s the easiest to find, you can also feel for the spare head with legs piece inside the bag. 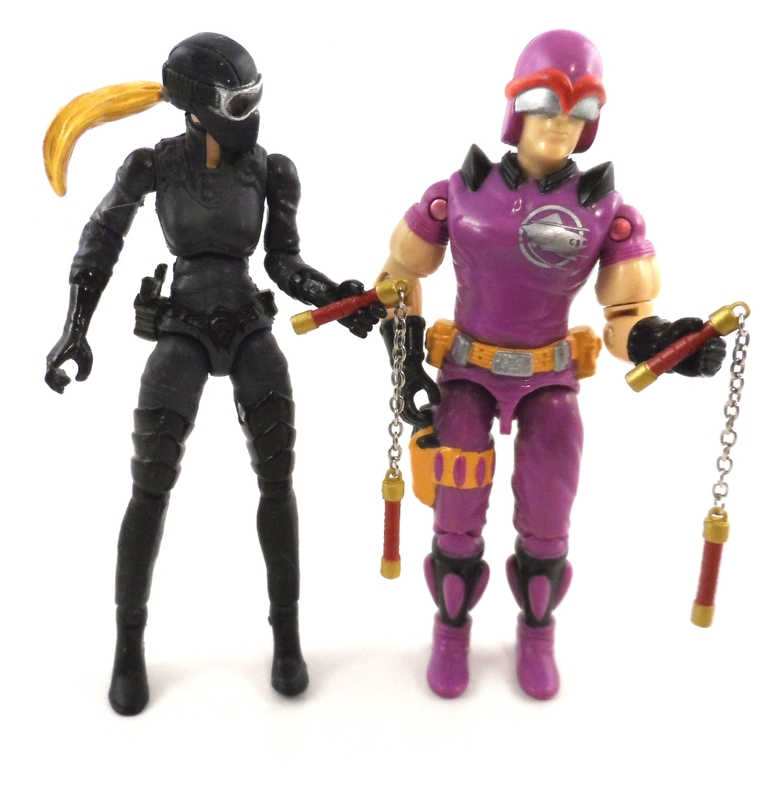 Now with all of that out of the way, let’s look at a few of the figures! 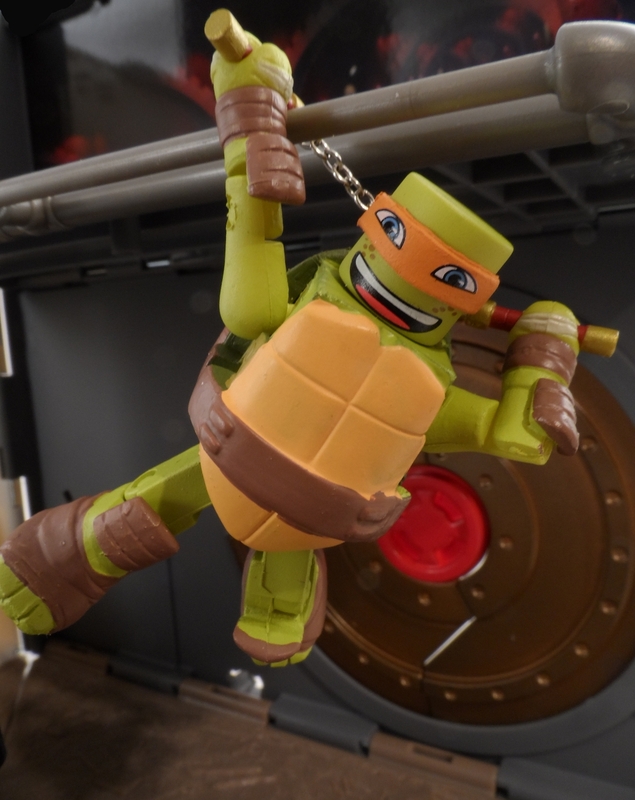 Here’s Mikey with the Keychain piece. 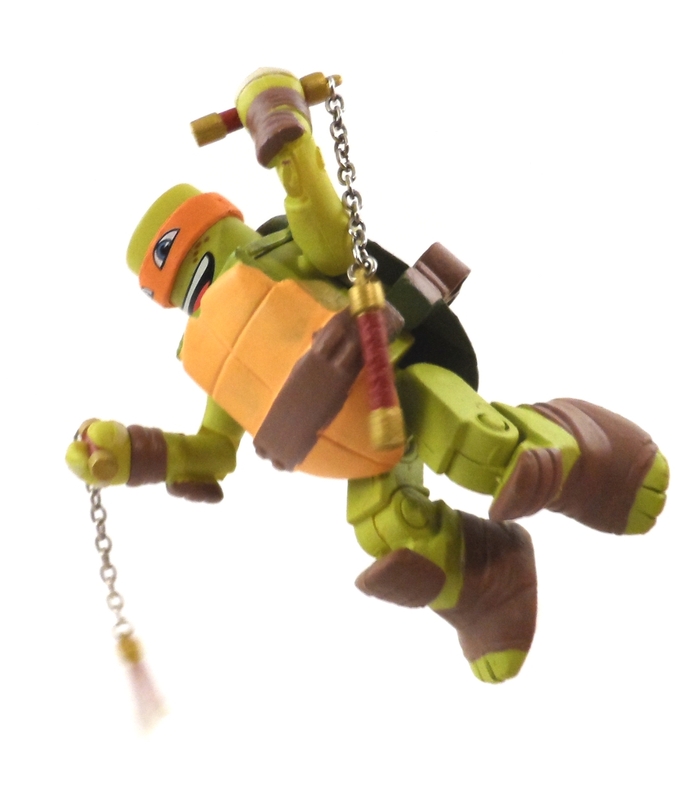 It’s only held on by a string loop that is around the Minimate neck so you can pop the head off and remove the keychain with little to no force involved. 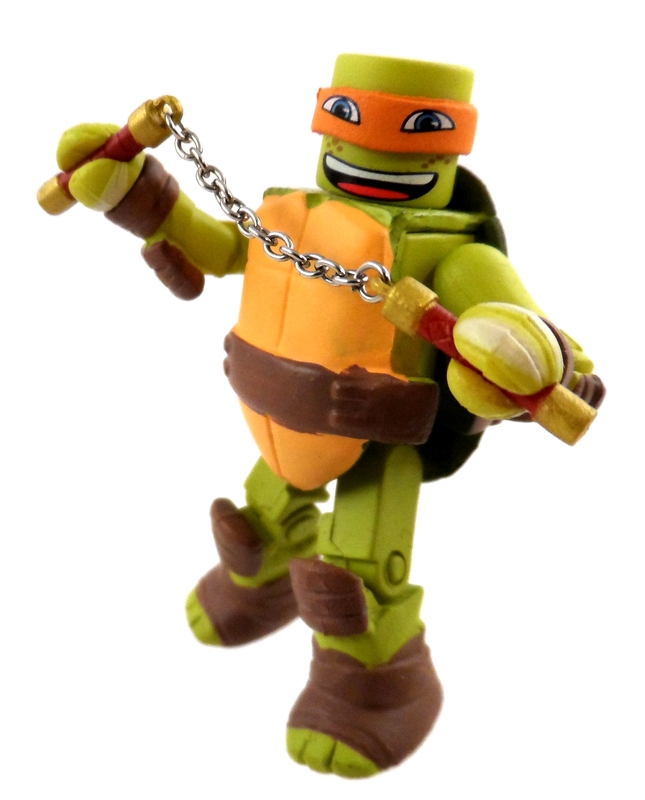 Mikey comes with his two Nunchucks and I was pleasantly surprised to find they have real chains on them. 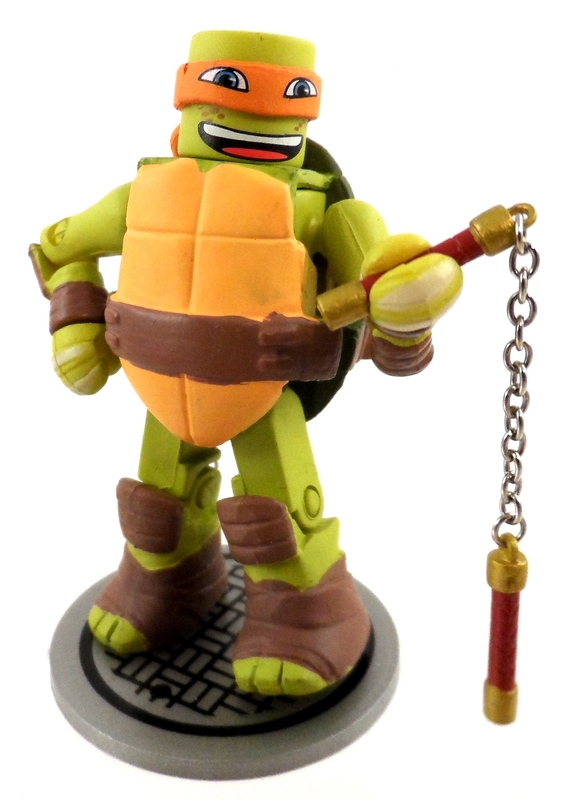 Unlike other Minimates, the Turtles have sculpted lower arms and legs rather than a bulky piece that goes over a typical arm or leg. I like this a lot as it adds to the look and means no feet falling off. The elbow and knee pads are also sculpted on. The knee pads work great, but the elbow pads could use a smidgen more clearance as the edge of the upper arm rubs against the pad making it hard to bend the elbow. 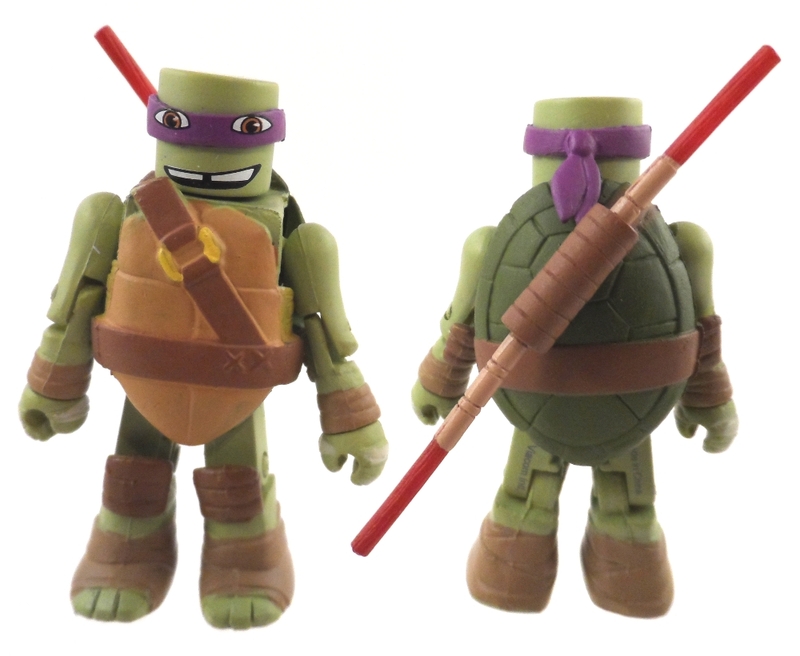 Keeping with the Minimate aspect, the Turtles have the typical cylinder shaped head, the Bandana appears to just be slid over the head, but it is actually a separate piece in the middle of two halves of the head. 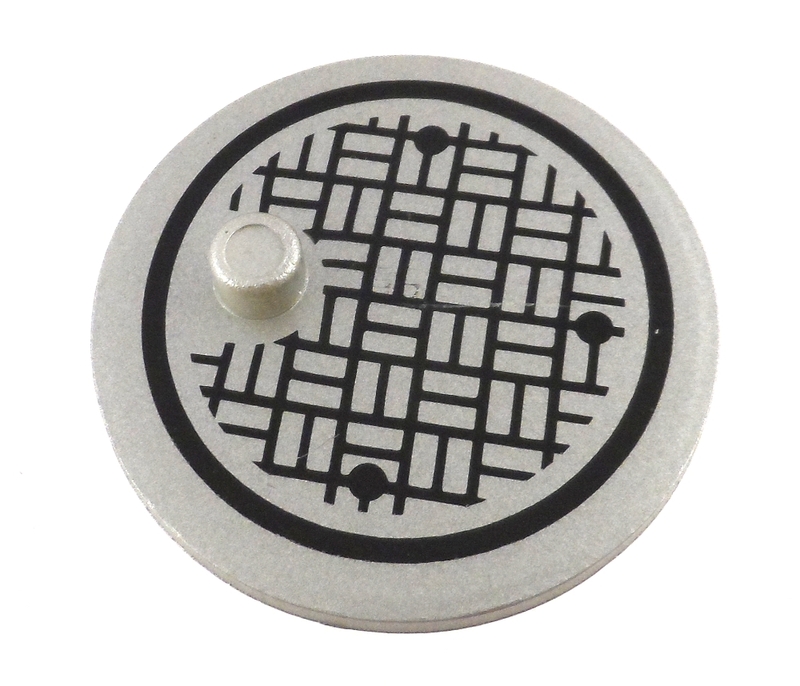 The three parts are held together by an inner plug and some glue. Since the eyes are printed on a separate piece, there is some variation in the alignment. Out of the two I have it doesn’t seem to be much of a variation to worry about though. Mikey’s chucks work well for the Minimate figure. The handles fit snugly in his belt loops and his hands. While I do love these chucks with real chains, I really would like to see at least one “action piece” similar to Thor’s spinning hammer. I think this could be really cool for some dio shots of Mikey in action. 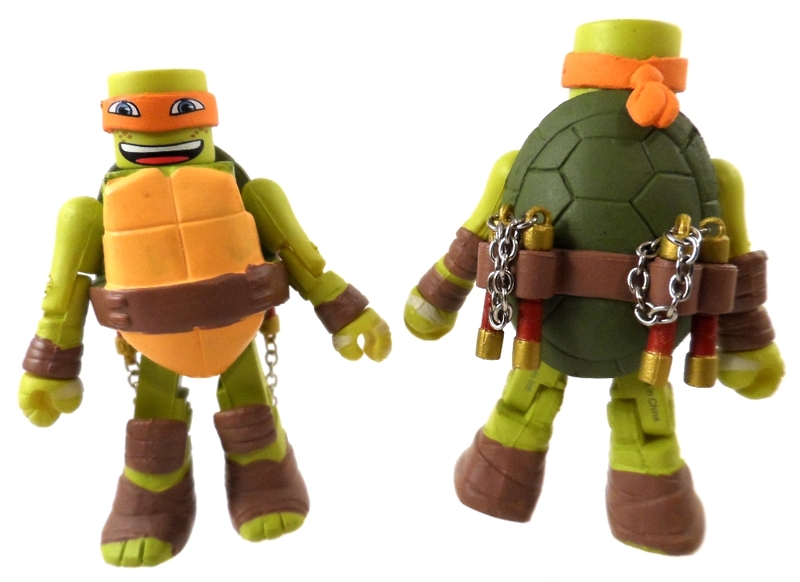 Mikey is definitely a great Minimate, the facial expression is perfect and I found myself loving this figure more than I thought I would. 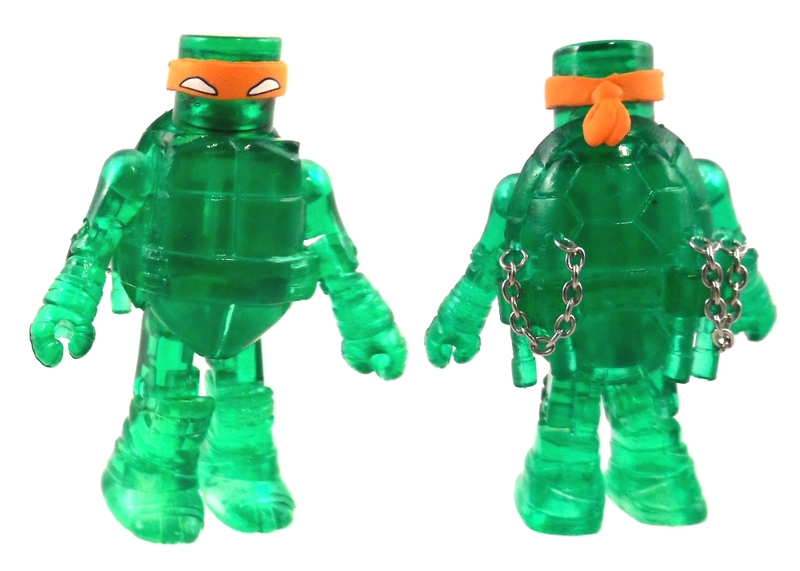 Next up is the variant, Mutagen Michelangelo! 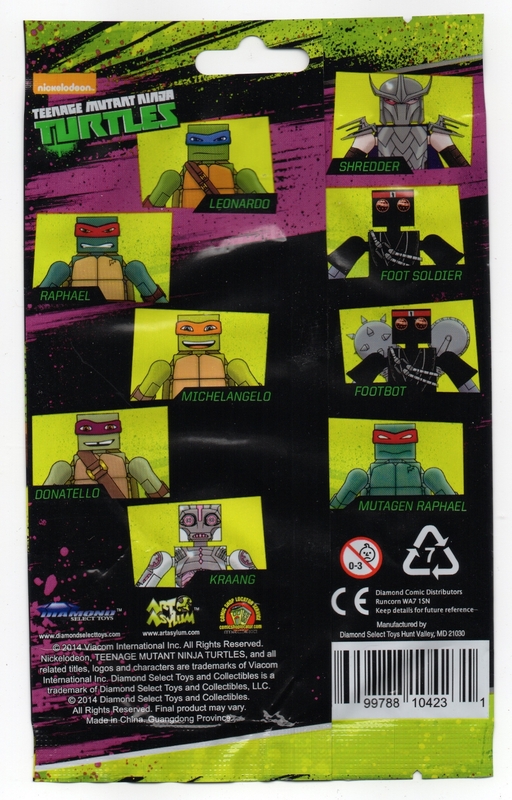 All of the Mutagen figures are translucent green with painted bandanas. The eyes are painted in their “battle mode” style being just white shapes with no iris and he has a different facial expression. 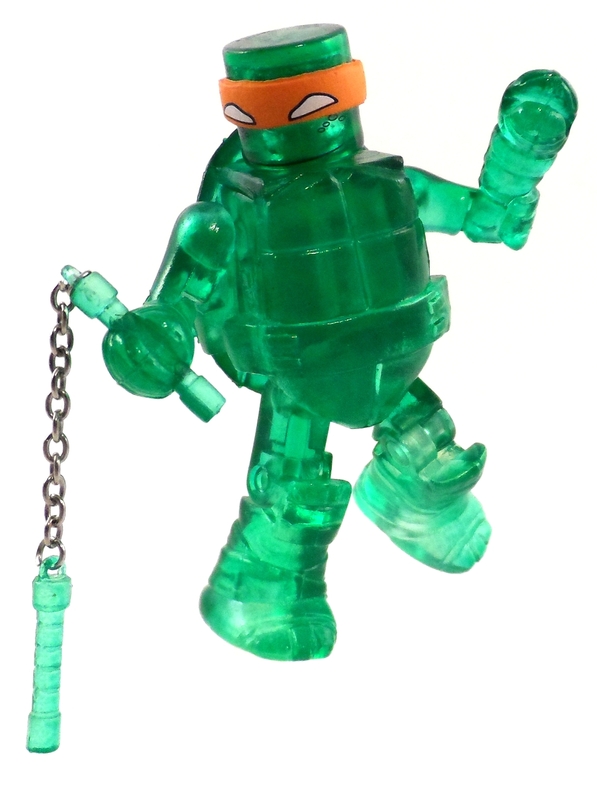 Muta Mikey comes with all the same items Regular Michelangelo comes with including those cool Nunchucks, this time in translucent green. 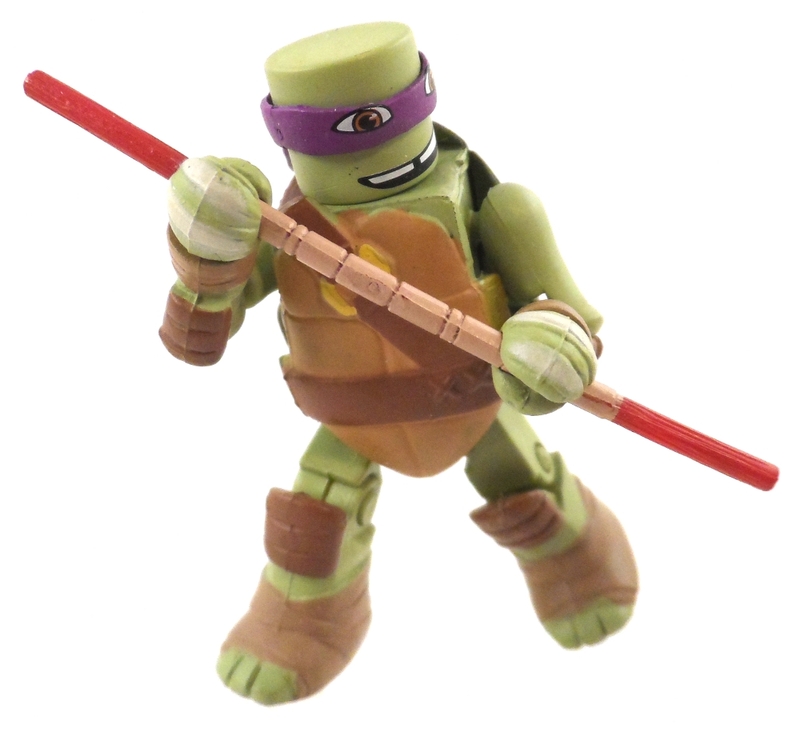 Donatello has the same basic construction as Mikey with the only differences being paint color and his weapon/sheath. He also has a friendly smile showing off his gap tooth we’ve come to expect from the Nickelodeon character. 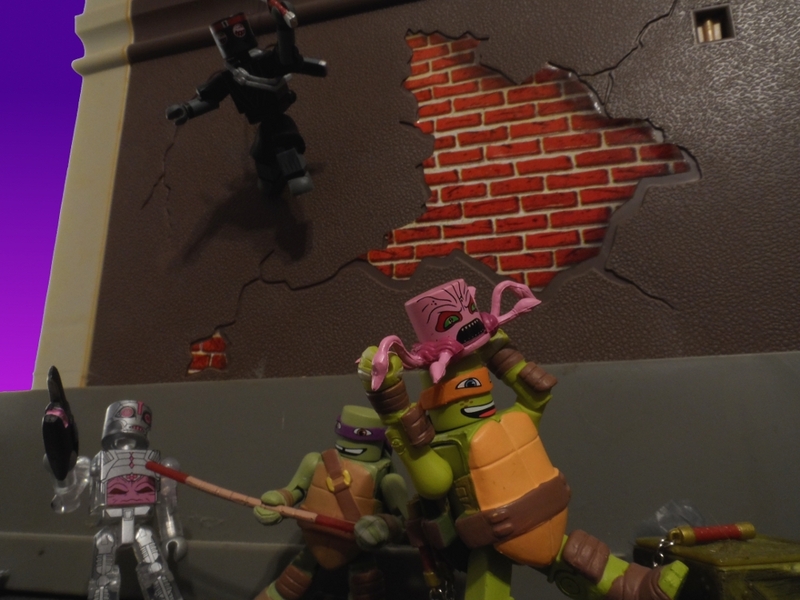 The Kraang is currently only at K-Mart, but DST has said that he should show up in a future wave at other stores. The figure is clear with painted details similar to how they’ve made the Terminator Minimates. 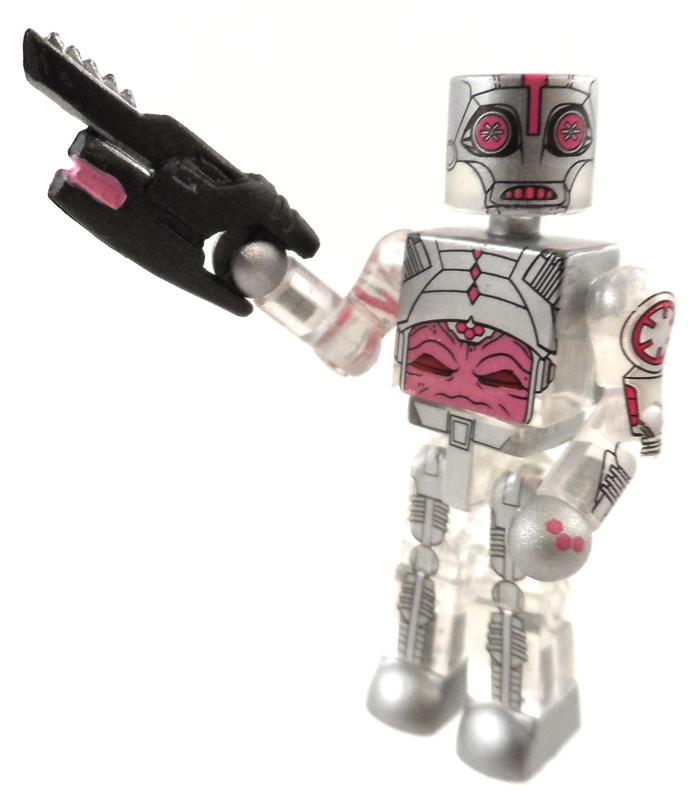 Kraang has a futuristic blaster with a few painted details and he also comes with one of the coolest accessories…. A Kraang creature! 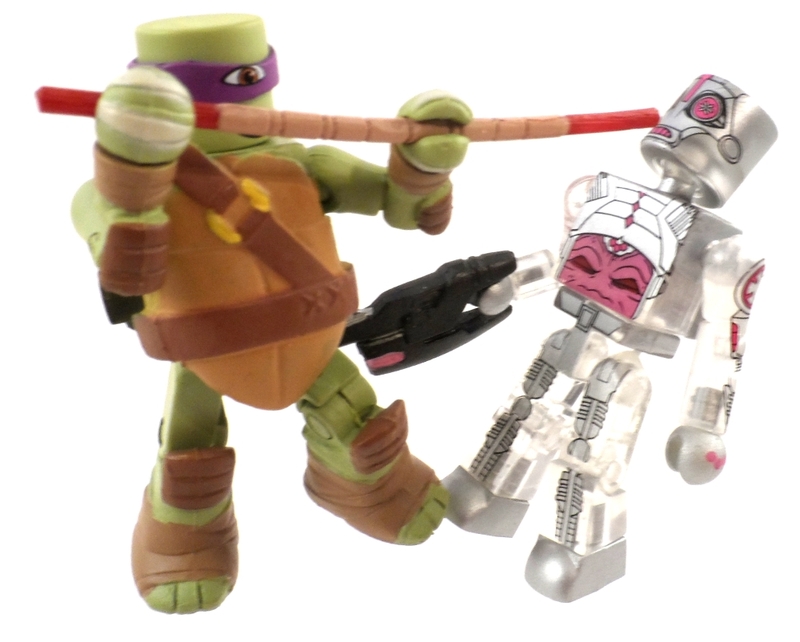 The Kraang is made from a Minimate head attached to a sculpted piece by use of a ball joint. I love the facial expression. In the future I’d like to see another tentacle piece that either has bendable legs or is sculpted to slide over Donnie’s Bo Staff as I think that would dramatically increase play value. 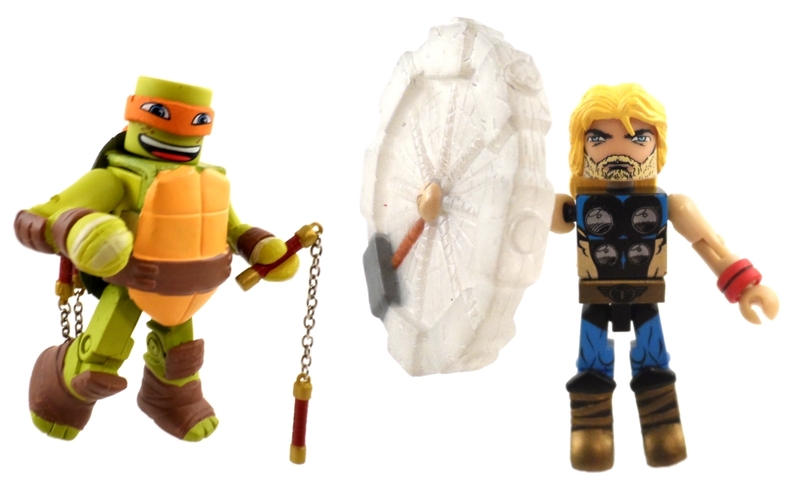 These TMNT Minimates are really cool, especially for fans of the series, but even for general Minimate or TMNT fans. 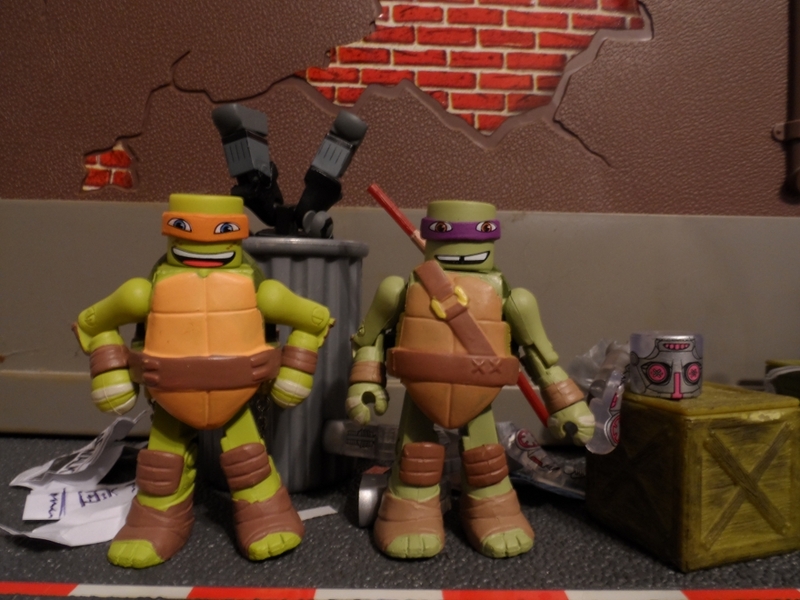 The Turtles have a perfect sculpt for the Minimate style that still allows for a good range of motion and the other figures are just cool and fun. I really recommend these to anyone who likes either property, they’re just a lot of fun.